(5/10/16) FEEKS: Edmond M., Captain U.S. Navy, Retired. Died April 26, 2016, at the age of 86. He was born the sixth and youngest child of John J. and Alice O'Donnell Feeks on November 29, 1929 in Richmond Hill, Queens, NY. 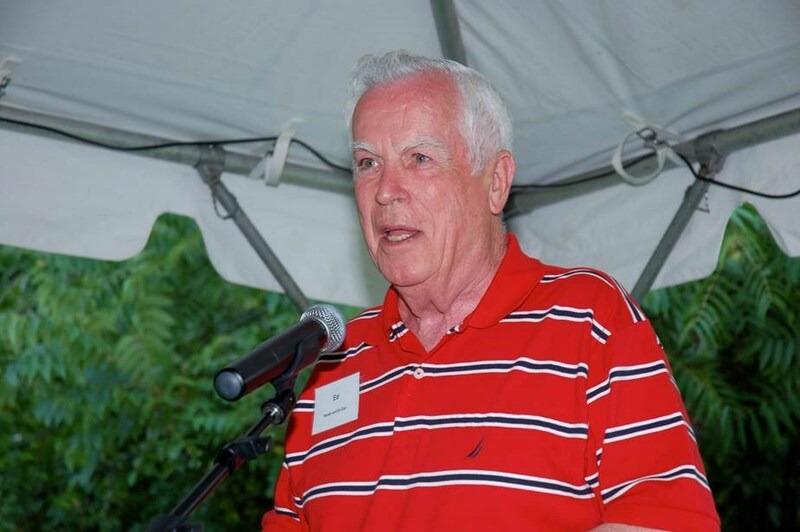 He received a BA degree in Philosophy from Maryknoll College in 1951, later earning an MA in International Relations from American University, and an MBA from the University of North Florida. He was a distinguished graduate of the U.S. Naval War College, Newport, RI. In 1957, he married Sandra Estelle Flood. Together they gave life to seven children, one of whom died as an infant. Ed loved his family selflessly and generously, through every joy and sorrow. His passing leaves a monumental void. Capt. Feeks entered the Navy in October of 1952, and was commissioned through the Officer Candidate School. After flight training he was designated a Naval Aviator and spent seven years at Cecil Field, assigned to VF-14, the staffs of Air Groups 16 and 13, and VFP-62. He flew reconnaissance missions in the RF-8A Crusader over Cuba during the Cuban Missile Crisis. In 1967, he reported as Executive Officer of RVAH-6, a reconnaissance squadron based aboard USS RANGER, and flew combat missions in the RA-5C Vigilante over Vietnam. 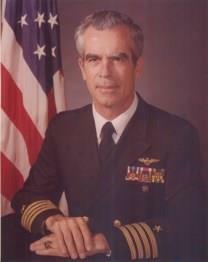 He became Commanding Officer of the same squadron and deployed aboard USS ENTERPRISE, again flying missions over Vietnam. For a short period, he was CO of RVAH-13 aboard USS FORRESTAL. In 1971, he was assigned as Commander, Attack Carrier Air Wing Reserve TWENTY, at NAS Jacksonville. Shore assignments included instructor duty at the academic instructor training unit in Pensacola; flight instructor in Beeville, TX; staff duty at Atlantic Fleet Naval Air Force Headquarters in Norfolk; staff duty at the office of the Chief of Naval Operations in the Pentagon; and finally as CO of the Naval Air Reserve Unit, Jacksonville, FL. Captain Feeks's decorations included the Legion of Merit, the Distinguished Flying Cross, the Meritorious Service Medal, the Air Medal (5 Strike/Flight Awards), the Navy Commendation Medal, and various unit, campaign, and service awards. He retired from the Navy in 1979. For the next 18 years, he managed law firms in Jacksonville and Palm Beach, retiring again in 1997. He was a Life Member of the Association of Legal Administrators, Past President of the Jacksonville Chapter, and Charter President of the Palm Beach Chapter. Ed spent the last two decades preparing tax returns, eventually qualifying as an Enrolled Agent with the Internal Revenue Service. In this he gave generously to people dealing with various tax problems, often making house calls. Ed enjoyed many years in the Tailhook Association (Charter Member), the Navy League, the Association of Naval Aviation, the Military Officers' Association of America, the San Jose Country Club, and the San Jose Yacht Club (Commodore, 2003). He served as a lector for more than 40 years at Catholic parishes in Rhode Island, Virginia, and Florida. He was President of the Parish Council of St. Joseph's Catholic Church in Mandarin (1981-1983), and most recently a parishioner of Assumption Catholic Church. Ed is predeceased by his parents; his infant son, Robert; brothers John O'D., James J., and Thomas V., and sister, Alice F. Walsh. He is survived by his beautiful wife, Sandra; children, Dr. Edmond F. Feeks (Mary), Michael J. Feeks (Bridget), Lawrence G. Feeks, Mary F. Davis (Eric), Elizabeth A. Koller (Steven), and LtCol William A. Feeks, USMC (Laura); twenty-six grandchildren, and ten great grandchildren; a sister, Grace Fitzpatrick; and a host of beloved nieces and nephews. (5/10/16) When one talked to Capt. Feeks, he never gave the impression that he was such an accomplished man. When I was co-writing Blue Moon Over Cuba: Aerial Reconnaissance during the Cuban Missile Crisis, I reached out to Ed for his memories and imput. He gave matter-of-fact comments that down-played his personal role. Instead, he gave credit to others, such as: "In short, we photo-beanies were most appreciative of the fighter guys who were there to cover us in spades...What a wonderful thought it was to know that they were waiting for us at our exit from the beach. And when we did, they would radio to say that our tails were clear." He made three or four VFP-62 low-level photo missions over Soviet nuclear missile sites during the Cuban Missile Crisis of October/November 1962 (he was never exact and gave few specifics). However, a grateful President Kennedy, presented in person, the Navy Unit Commendation to VFP-62 and the Navy awarded Distinguished Flying Cross medals to twelve VFP-62 pilots, including Capt. Feeks. I met Ed and his wife Sandy at a VFP-62 reunion in Jacksonville in 2010. He gave me the impression of a humble man, generous with his praise for others and always responsive to my requests. I'm glad to call him my friend. (5/13/16)Captain Ed Feeks was in VFP-62 when I started in the fleet out of VF-174 into the RF8 recce business and he taught me to be an LSO as well. Then we both ended up in the Vigi community, and both had the pleasure of serving as CO of a couple of squadrons of them. For me it was RVAH-9 and RVAH-7 (The last one). He was someone that I had hoped to be. I can see him in my mind and hear his laugh at the stories around the ready room and the bar. A good man to the core and he served us all well and his family has a right to be proud.